Pilates has been an effective form of exercise for as long as it has been around. But what is it about these classes that leave people coming back for more? If you experience pilates in Brentwood, you can draw conclusions on your own. Pilates can be a lot of things; challenging, fun, and healthy. When you are both engaging your muscles and stretching them at the same time, that is one of the highest and fastest forms to accomplishing your fitness goals. Pilates allows you to strengthen the major muscle groups, and helps to tighten your core. The primary benefit is core strengthening, followed by postural alignment. Pilates is a great way to exercise for every body with any body. The movements are not high impact and are slow and controlled, making it one of the best ways to begin a fitness journey. If you look around yourself and feel as though you are following the same routine over and over again, then perhaps it is time to change thing up. Seeking out pilates in Brentwood is a wonderful way to begin trying new things. The beauty of pilates is that you can start out small and increase the intensity. Workouts don’t need to be isolated and basic, they can be vibrant and exciting, especially in a class shared with likeminded people. Either way, changing your routine is a form of personal progress, because it takes commitment and time to see the positive results. It’s never too late to try something new, and pilates could be your ticket toward meeting other goals for the future. 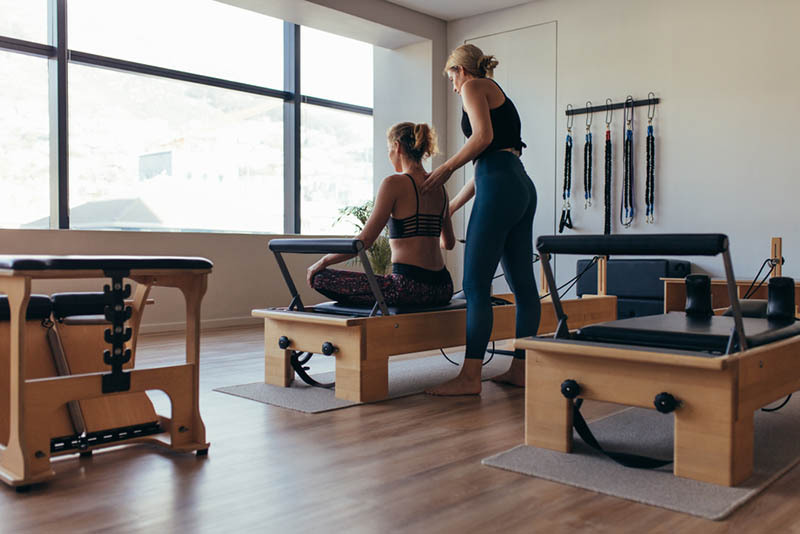 Pilates can be difficult in the beginning, but after returning for multiple classes, you will be able to notice results in your body and your mind. Exercise helps to clear your mind, feel balances, and it release endorphins. Introducing these types of stabilizing workouts through pilates in Brentwood can help you feel accomplished and confident. Have Body Wellness offers classes throughout the day and week to accommodate to the busy schedules we may have. You have the ability to sign up for class through their website. If you have specific questions about their classes or studio, feel free to call (310) 453-1221. Have Body Wellness is filled with strong, patient staff who can help you safely exercise and obtain your ideal fitness goals and the body that you want.